Losing Hair Before I’m 21!! Male pattern baldness (MPB) is the great bane of men — the systematic and often demoralising departure of a head of hair, an enormous blow to one’s self-esteem. Popularly speaking, MPB is associated with men in the midst of midlife crises, maybe guys pushing 30, guys that are “older.” It has absolutely no association with the beauty and shimmer of youth. Or at least it shouldn’t. But of all the men who will, in their lifetimes, experience the familiar M or U shapes unfold on their heads, a full one-quarter of them will begin the process before they turn 21. New Zealand and Australian leaders and innovators of Scalp Pigmentation. Our procedures also known as Scalp Micro Pigmentation (SMP), have been helping men worldwide over come their current hairloss situation. Hey Buddy!, I found this information for you: "Losing Hair Before I’m 21!!". 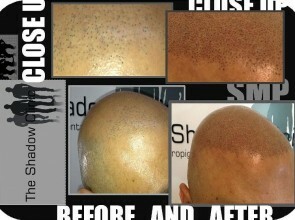 Here is the website link: http://www.theshadowclinic.co.nz/losing-hair-before-im-21/. Thank you.